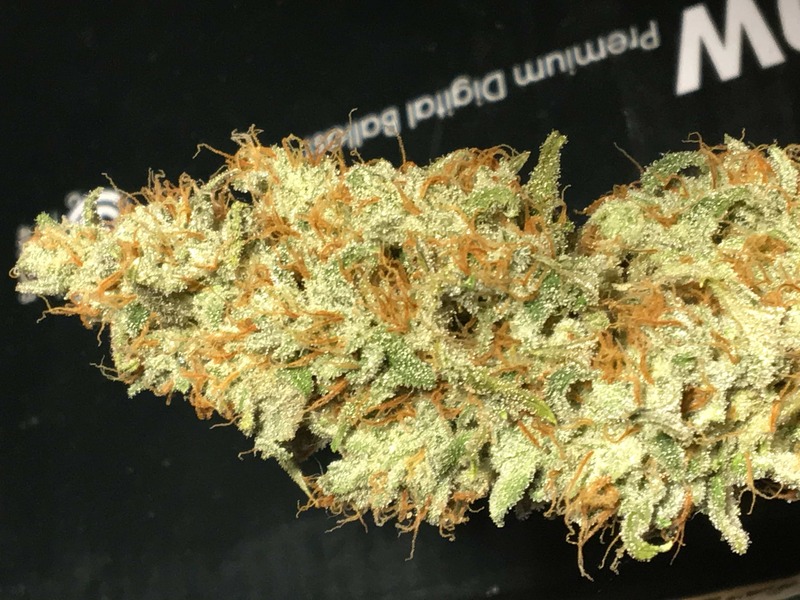 Fruity Pebbles OG (aka FPOG) was created by canna-recluse, Alien Genetics. 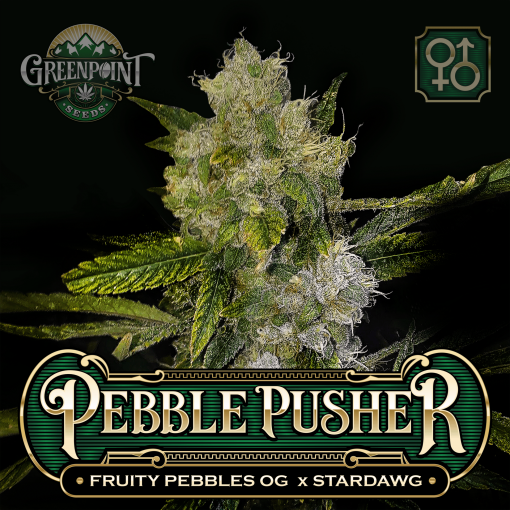 Fruity Pebbles OG is an All-Star combination of Green Ribbon, Granddaddy Purp, Tahoe OG, and Alien Kush. That brought in a mind-boggling amount of money at auction. Our breeding male has proven time and time again to produce gold, so this early release is for those who cannot wait until the first release. 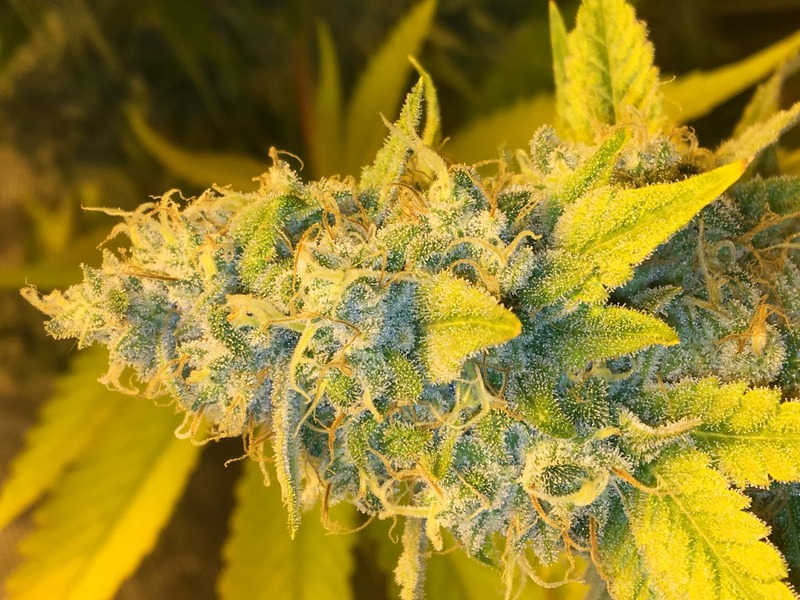 FP and Stardawg – Fruity Pebbles OG (aka FPOG) was created by canna-recluse, Alien Genetics. 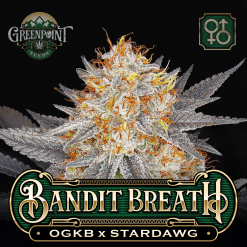 Fruity Pebbles OG is an All-Star combination of Green Ribbon, Granddaddy Purp, Tahoe OG, and Alien Kush. That brought in a mind-boggling amount of money at auction. 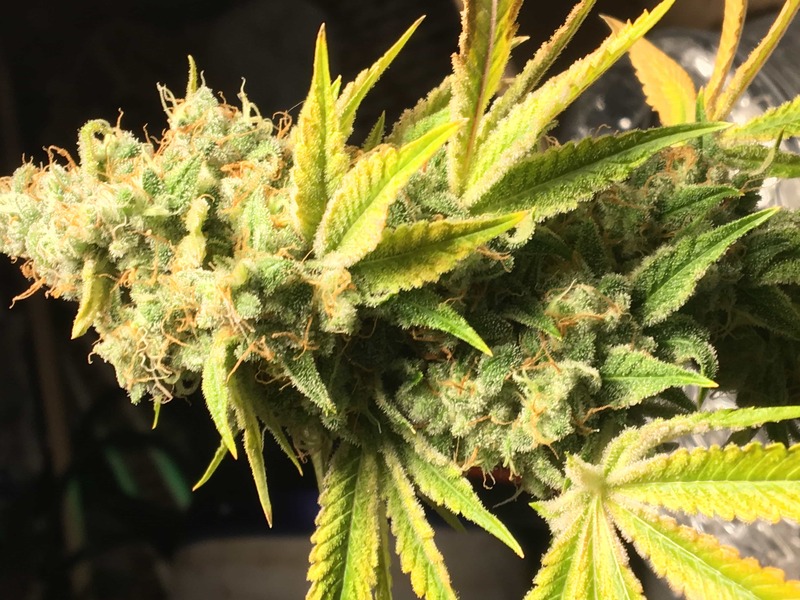 This strain is a visual stunner during flower! As her colors and aromas begin to reveal themselves your senses will going wild. The flowers on this variety become engulfed in a galaxy of trichomes delighting you every time you enter your garden. Contrasting with the glistening trichomes are the robust purples, steaks of bright orange, and knobs of light green calyxes really help exemplify the diverse beauty of this gal. The intensely purple characteristics in both parents united to bring out a fantastic berry flavor with tropical red punch dominance. Fruity Pebbles OG delivers precisely what you desire in a lip-smackingly sweet selection with a great creamy finish. Many people say this FPOG reminds them of a bowl of Fruity Pebbles Cereal. FPOG is known to produce a happy stress-free effect that will put you in a great mood. She is a perfect all day selection. 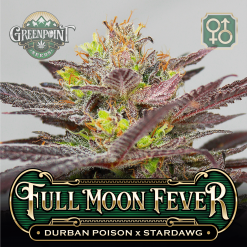 FPOG will heighten your mood and give you a sense of relaxation. I can’t wait for this to come out! I’d trade my left nut to have a pack of these!!! 10 out of 83 people found this helpful. Was this review helpful to you? 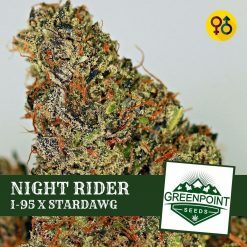 This strain sounds amazing sign me up!! 5 out of 70 people found this helpful. Was this review helpful to you? 5 out of 57 people found this helpful. Was this review helpful to you? 6 out of 6 popped. They are healthy and fast growing. Very happy. 17 out of 27 people found this helpful. Was this review helpful to you? Fruity Pebbles and chem that is what we are all after,,i am grabbing those for a bargain now from Gu’s amazing auction. 2 out of 21 people found this helpful. Was this review helpful to you? 12 out of 14 people found this helpful. Was this review helpful to you? I planted 5 seeds and got 4 females and 1 male. Super happy about that ratio. 5 out of 8 people found this helpful. Was this review helpful to you? I germinated 5 Seeds, 4 of those five were females. I had 4 different phenotypes. I’ll refer to them as 1,2,3, and 4. 1 was a pure Stardawg funk phenotype. I topped it early and it produced 8 tops, 4 main and 4 from side branching. The scent is pure garlic, burnt rubber, and industrial chemicals. 2 and 4 are very similar in scent. They are both citrusy. 4 leans more towards the lemon cleaner/ pinesol side of citrus. 2 is sweet lime with s little gas and pinesol. I topped 2, but not 4. They both produced a ton, but I think 4 is going to weigh out heavier, the main cola was a monster. 3 is a Fruity Pebble OG phenotype. The smell has no Chem in it whatsoever. It smells like sweet citrus and baked goods. The citrus is the type you get from Fruity Pebble cereal. 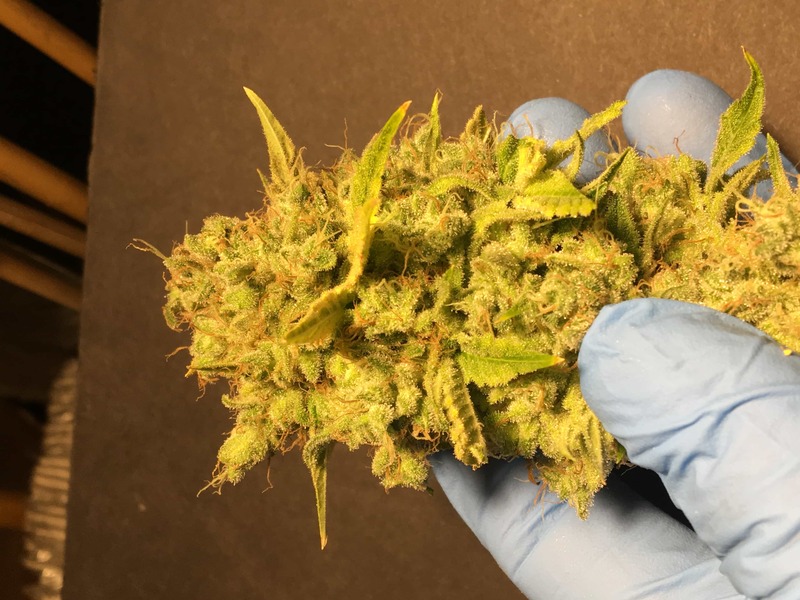 This one produced a ton of super frosty goodness. I think overall this strain ticked a lot of boxes for me. 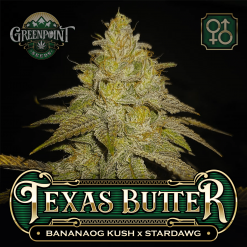 All in all this has been a very successful strain for me and I highly recommend it. 51 out of 51 people found this helpful. Was this review helpful to you? 1 out of 21 people found this helpful. Was this review helpful to you? I can’t wait to see the finished buds, they sprouted with some purple and yellow on the cotyledons. All very strong and huge seeds. 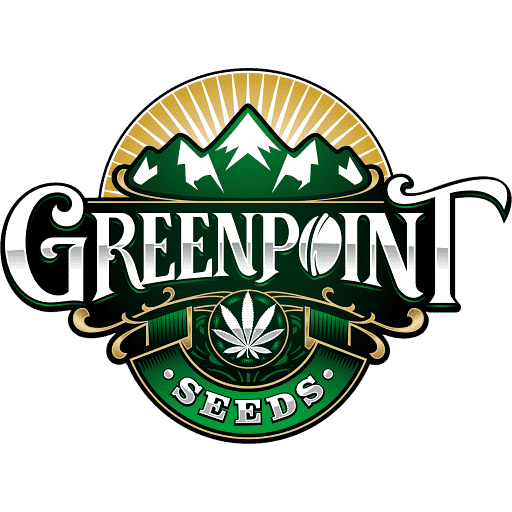 Thank you Green Point! Wow! These are the most gorgeous, huge seeds. Easily identified females. Will update with pics when in flower.